Viswanathan Anand suffered a loss in the first round to Hikaru Nakamura of the United States in the Sinquefield Cup. Starting the tournament with a double black, Anand defended pretty well for a long time before Nakamura crashed through after persistent pressure. The first round of the event started with a bang with all games ending decisively. As in the first edition of the Grand Chess tour, Veselin Topalov of Bulgaria caused the biggest upset for the second time running when he defeated world champion Magnus Carlsen of Norway in what was a repeat of the Norway tournament opener in June this year. 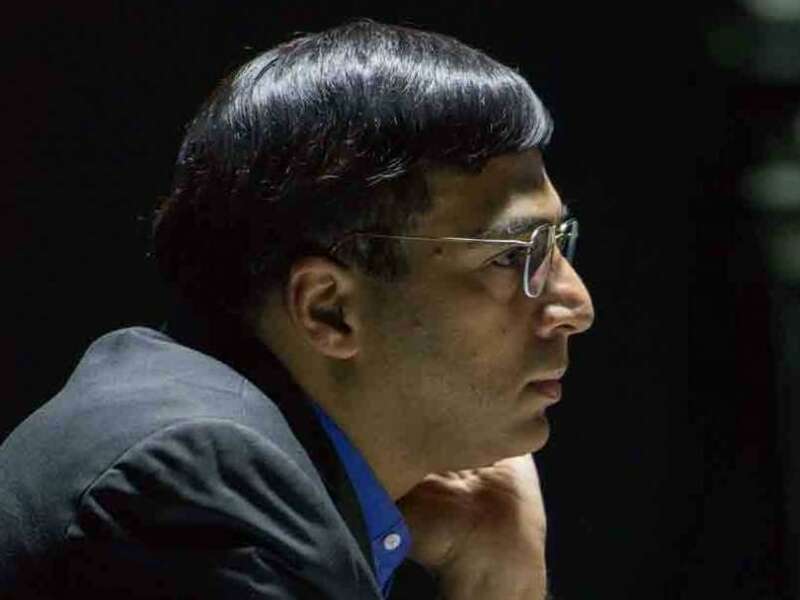 Anish Giri of Holland also repeated his success against Alexander Grischuk of Russia while in the other two games of the day, Levon Aronian of Armenia was brilliant in his fine victory against Fabiano Caruana of USA and Frenchman Maxime Vachier-Lagrave progressed at the expense of 'wild-card' Wesley So, also from the host federation. With five winners on the first day, the event has started in a unique way as in recent history such high number of decisive games are hard to find. Anand, however, was a little unlucky to lose from an equal position against Nakamura out of a Catalan opening where the Indian played black. Getting out of the opening unscathed, Anand had to defend patiently as Nakamura continued to hunt for an advantage and it was only after some errors by the former that the American picked up a pawn on move 40. Anand resigned after three more moves rather prematurely in opinion of some masters but the pressure was immense in addition to the material deficit. Carlsen lost after coming across a new idea by Topalov early in the opening. The World champion sacrificed a piece for some dangerous compensation but it was the calm response by the Bulgarian that saved him the blushes in the end. Methodically Topalov liquidated to an endgame where his extra piece was simply too much. Aronian played the game of the day, crushing Caruana with his white pieces. The Queen's gambit declined met with a severe attack by the Armenian star and Caruana was helpless after Aronian spotted a brilliant rook sacrifice to rip apart black's position. The game lasted 39 moves. Maxime Vachier-Lagrave punished Wesley So for an audacious approach out of an English opening. The former Filipino went for a pawn grab in the opening but black always had enough compensation in form of piece-activity. Vachier-Lagrave won a rook for minor piece in quick time and never looked back. The tournament has a total prize fund of USD 300000 in addition to the 150000 prize fund at stake for the top three finishers of the grand chess tour that started with the Norway tournament and will end with the London Chess Classic in December this year. There are eight rounds still remaining in one of the strongest ever tournament that has eight of the top 10 in world rankings participating. Results round 1: Hikaru Nakamura (USA) beat V Anand (Ind); Magnus Carlsen (Nor) lost to Veselin Topalov (Bul); Wesley So (USA) lost to Maxime Vachier-Lagrave (Fra); Levon Aronian (Arm) beat Fabiano Caruana (Ita); Anish Giri (Ned) beat Alexander Grischuk (Rus).